This is where we would like to share just some of the more recent success stories we have of rehoming injured, stray and unwanted cats & kittens from our branch of Cats Protection. I just wanted to give you an update on the beautiful young ladies who, as you can see above, are doing just fine. 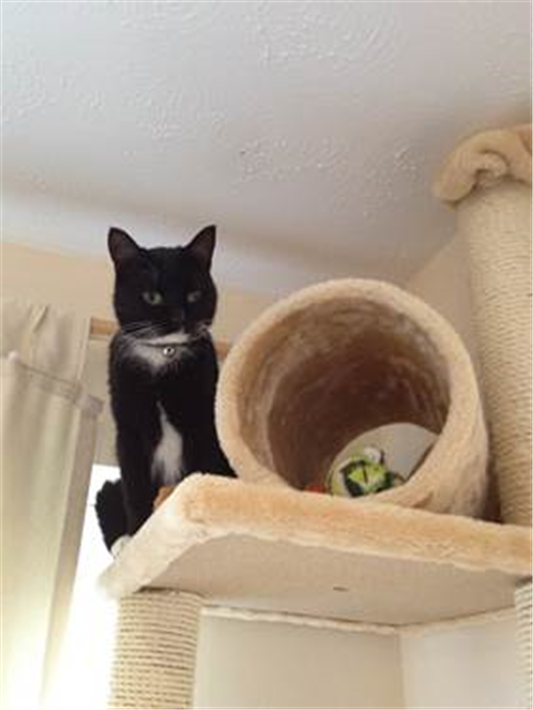 Cali has not looked back, she is the most gorgeous little girl who has instantly taken to her radiator bed and looks so sweet curled up and nestled in to the blankets on her radiator in her bedroom, it is lovely to come home and have her run up to you for a little affection. Evie is gorgeous and, whilst still not really wanting to be held or cuddled in one's arms, she does love a good tickle and belly rub .... oops she has just jumped up on to the settee behind my neck .. and now she has gone upstairs!! Yesterday the two of them had a prolonged and energetic play fight, it was so funny and sweet ... Evie is very tolerant of her younger buddy but will put a little extra 'punch' in to her pawing when she has had enough. Well that is the update for now ... if you are in the area very welcome to knock on the door and she how they are doing. We weren't looking for another cat as we already had 2 cats, but while Danielle was foster mum to Mortimer he was such a lovely character we just fell in love with him, hence since July last year 2012 we brought him home.He was very nervous at first as he had been waiting for a new home at Danielle's for 5 months. For the first few days he hid behind the headboard in the spare room, he wasn't eating much, and we began to wonder what had we done!! But then as he got used to his new surroundings and our other 2 boys (cats) he soon blossomed into the Mortimer we know now. He is now a very much loved member of our family, The way he looks deep into our eyes... He loves to climb onto our chest and be held like a baby having a cuddle... He likes to lay up round our head and neck as though he can't get close enough to us... In a lot of ways he's like a little dog following my husband around, waiting outside the bathroom door for him, sits watching his every move, looking up to his face in adoration. Its hard to imagine life without him now, Mortimer is one special boy. Thank you Danielle for the love, affection and time which you gave to Morts and give to all the other rescued cats that you have had and continue to have. Internet dating – love at first sight! 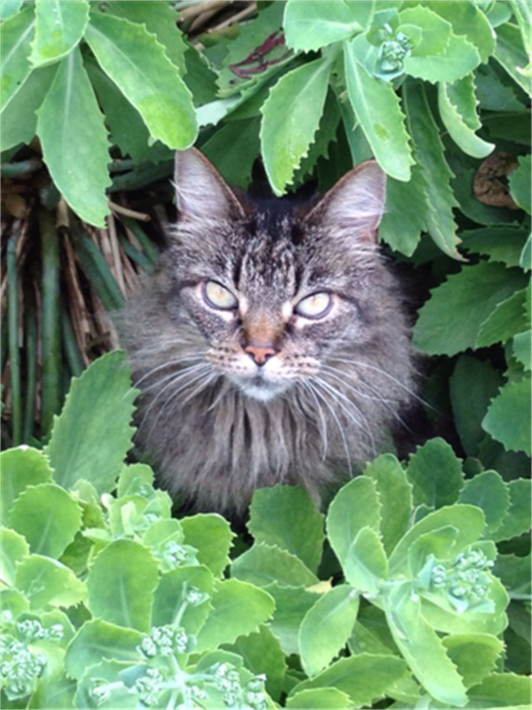 "In February last year (2012) we lost our cat who was almost 19. I'd bought him when I left home & we'd grow n up together. 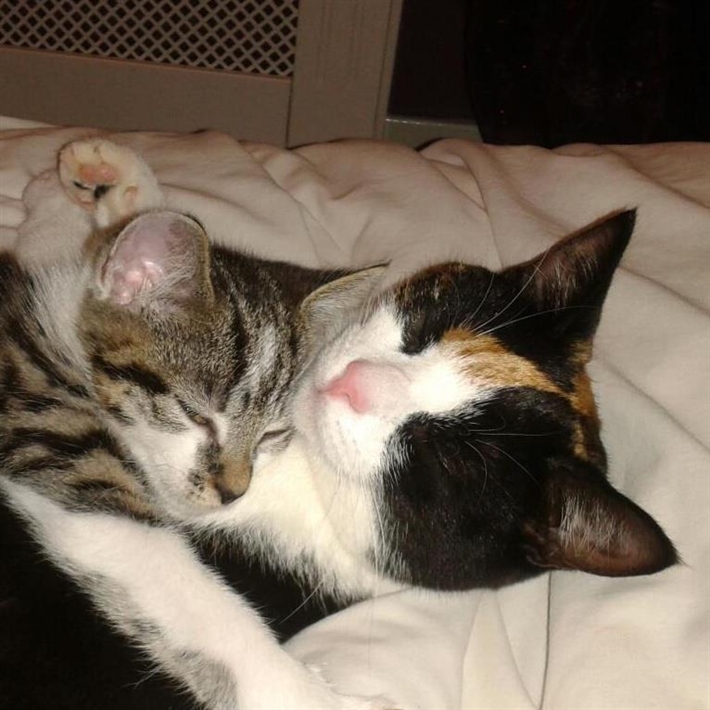 We were devastated but knew we wanted to give another cat a loving home. I contacted Cats Protection to see if they had any cats they thought would be suitable. My only request was that it was a Golden Oldie because I know that the older ones often get over looked & spend the rest of their lives in care. Plus I think cats are at their best & most interesting when they're older. It was fate because Danielle called me straight away to say that they had just taken in a 13 year old. I had my home check & Sophie was brought around that night. It thankfully meant that Sophie only spent 3 days in a foster home. From the moment Sophie peeked her beautiful haughty face out of the basket it was love. I will never understand why she ended up in Cats Protection but I am so grateful she is with us now. She's perfect in every way; loving, affectionate, clean, friendly to our 3 dogs & all our visitors. She has never bitten or scratched anyone. She is the Queen Bee of the house and despite our best intentions she dives on our bed every night for cuddles & hogs the bed!